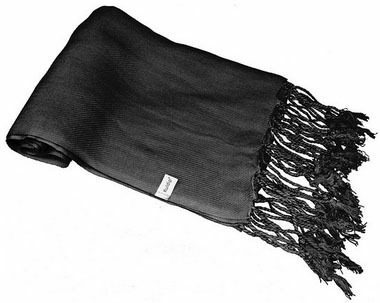 Soft Pashmina Scarves Only $3.49 + FREE Shipping! You are here: Home / Great Deals / Amazon Deals / Soft Pashmina Scarves Only $3.49 + FREE Shipping! Looking for some new scarves that won’t break the bank? Grab these soft Pashmina Scarves for just $3.49 + FREE shipping! These retail for $19.99, so this is a fantastic price! Save 4% each on Qualifying Items offered by Kuldip LTD when you purchase 2 or more. Enter code NH57LUBU at checkout. Save 6% each on Qualifying Items offered by Kuldip LTD when you purchase 3 or more. Enter code XRNJC2LU at checkout. Save 8% each on Qualifying Items offered by Kuldip LTD when you purchase 4 or more. Enter code DZU2JNZV at checkout. Save 10% each on Qualifying Items offered by Kuldip LTD when you purchase 5 or more. Enter code 3XTDRPZX at checkout. Save 15% each on Qualifying Items offered by Kuldip LTD when you purchase 10 or more. Enter code SGK5Y6RS at checkout. Save 20% each on Qualifying Items offered by Kuldip LTD when you purchase 20 or more. Enter code WT6CTMCC at checkout. Save 30% each on Qualifying Items offered by Kuldip LTD when you purchase 100 or more. Enter code MFM6C87S at checkout. Get free shipping on this item when you spend $60.00 or more on Qualifying items offered by Kuldip LTD. Enter code VAY6D4LA at checkout. Buy 5 items from Kuldip LTD and get 3% off. Buy 10 and get 5% off. Buy 20 and get 7% off. Buy 40 and get 10% off. Just enter QC5DKLXY at the checkout. Enter code QC5DKLXY at checkout.